The Apatin shipyard, once he most modern one in Serbia, has no employees at the moment and has been put up for sale again. In the past, the company used to employ as many as 800 workers and build ocean liners for Norwegians. Today, the seven shipyards in Vojvodina combined do not have that many workers. This is the price of unsuccessful privatizations. It seems that there not a lot people interested in investing in this industry in Serbia. At the first tendering for the sale of the Apatin shipyard, there were none. 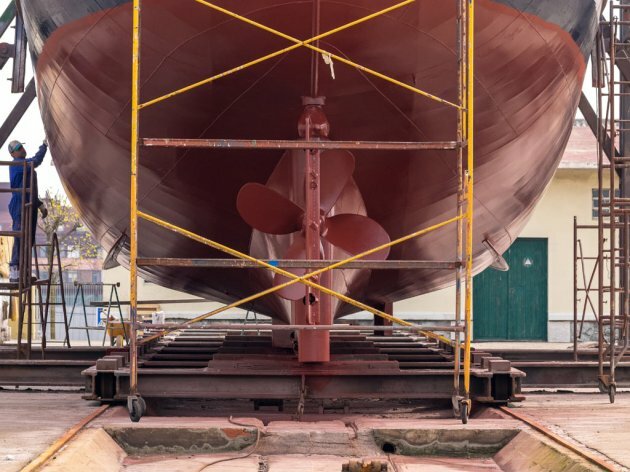 The Bulgarian company ABC TWO EAD from Sofia, the owner of the shipyard, advertised the sale again on August 16, at the initial price of around EUR 2 million. Mladen Manojlovic, the director of the Apatin shipyard, says for our portal that there haven't been any interested purchasers in three years now and that no one responded to the previous public call. – The last foreign investor to express interest came from Italy, but that was several years ago – Manojlovic says. He explains that the shipyard is not operational and that it has no employees. Instead, it only rents out space to Beoline Beograd, Interbrod Bajmok and Astra Shipyard Novi Becej. These companies employ around a hundred workers at the shipyard. Manojlovic adds that their operations won't be jeopardized by the potential sale of the company, because, as he says, the acquisition process takes three months. Our interviewee says that he has no contact with the Bulgarian company, just with the National Bank of Greece, within whose group they operate. Manojlovic explains the slightly lower price at the second public call with a new evaluation, which took place in December 2017. – Shipbuilding will have a perspective in our country as long as there are skilled people, but due to the low labor price, they are moving to Croatia and other countries increasingly often. The shipbuilding department in Apatin closed down a long time ago, so there are no young people in this field – our interviewee says. The Apatin shipyard used to carry the name of Boris Kidric. In the privatization process of 2003, it was bought by Vojin Lazarevic's Danubius Building Corp for around 300,000 of the then valid Deutschmarks through old foreign exchange savings bonds. In 2010, Lazarevic declared bankruptcy. The Bankruptcy Supervision Agency sold the shipyard to Vojvodjanska Banka in 2012 for RSD 230 million at an auction in which MK Commerce took part as well, offering RSD 130 million. As Vojvodjanska Banka was the shipyard's biggest creditor, an identical sum was repaid to the bank upon the payment. Vojvodjanska Banka transferred the company to the Bulgarian bank, a member of the National Bank of Greece Group, in Juanary 2016.